We have all seen the wild ride that Kesha has been on over the past few years, but the singer is getting back to what she does best: releasing new music. In an emotional video thanking her fans earlier today, Kesha announced her new single, “Praying,” is coming. Get all the Kesha new music details below. The big news came earlier today when Kesha released a Twitter video making the big announcement. Her new single is titled “Praying” and will be available on Thursday, July 6. This will be the first major release by Kesha since her collaboration with Zedd on “True Colors” back in April of 2016. “True Colors” reached the No. 74 spot on the Billboard Hot 100 chart, which was the first time Kesha had a song chart since “Timber,” her collaboration with Pitbull, hit the top spot back in 2013. 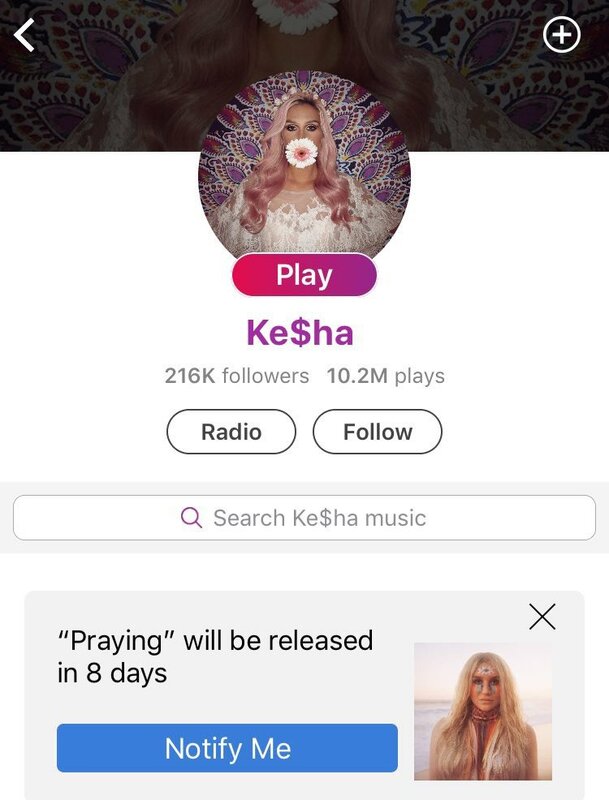 Now, we have a new single coming out from Kesha titled “Praying,” which happened to be spoiled by an app called Anghami. The app prematurely announced that Kesha’s new single would be coming out this week. It has been a rough couple years for Kesha, as she has been battling Dr. Luke in court since 2014. Kesha accused Dr. Luke of emotionally, physically, and sexually abusing her during their working relationship at Kemosabe Records, a division of Sony founded by Dr. Luke. Despite the allegations, a New York City judge denied the injunction for Kesha, which would have allowed her to work on new music outside of the Kemosabe Records label. Since then, Dr. Luke’s contract with Sony has expired and he is no longer CEO of Kemosabe, but he still has a relationship with the label. With the legal stuff behind her, Kesha is now focused on making new music, and it starts with the release of her new single “Praying” this Thursday. Before that though, she wanted to thank her fans for sticking by her side throughout all of the legal issues. From the video, you can tell this an emotional time for Kesha. She has not released a new album since Warrior, her second full-length LP, bowed at No. 6 on the Billboard 200 in December of 2012.